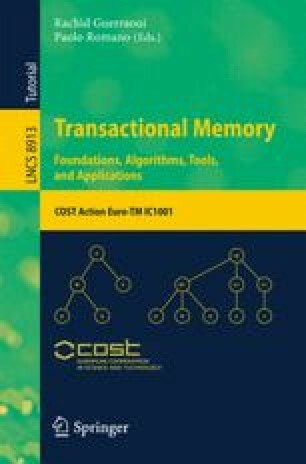 This chapter is dedicated to the conflict detection mechanism in the context of hardware transactional memory (HTM) systems. An effective mechanism is needed to detect conflicts amongst transactions, thus ensuring atomicity while allowing concurrency. Together with version management and conflict resolution, the conflict detection mechanism is one of the main design choices in HTM systems. In this chapter, the two most common ways of detecting conflicts are described: eager and lazy. Then, we discuss the main HTM approaches to conflict detection, from the very first system proposed by Herlihy and Moss in 1993, to the commercial systems delivered by Intel or IBM, amongst others. Finally, a survey on conflict detection virtualization, i.e. support for unbounded transactions, is presented, emphasizing the signature topic.